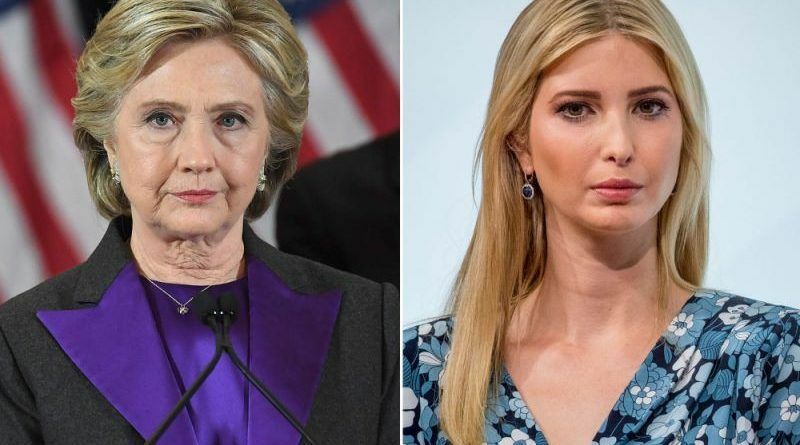 In a recent interview on Dutch TV, former Democratic presidential candidate Hillary Clinton attacked First Daughter Ivanka Trump said the United States doesn’t want “any more inexperienced Trumps” in the White House. The former Secretary of State was asked to weigh-in on Ivanka Trump’s possible future ambitions, referring to baseless allegations that Ivanka Trump wants to follow in her father’s footsteps that surfaced in Michael Wolff’s book Fire and Fury: Inside the Trump White House, published at the beginning of this year. Hillary said that Ivanka Trump will not be the “first female President” of the United States. “Fool me once shame on you, fool me twice shame on me. The American people are seeing for themselves what happens when a reality TV candidate wins. Clinton said. Please keep Hillary talking… The best hope for the Republicans this fall is for Hillary to go on a tour of the Midwest. And when she’s wrong, she’s wrong. If inexperience equates to honesty then I am for it. The experienced people show they are in it for themselves. People don’t want any more EXPERIENCED CLINTON’S in the White House that is for sure. However, having a Trump in the White House always beats having a Clinton in there.